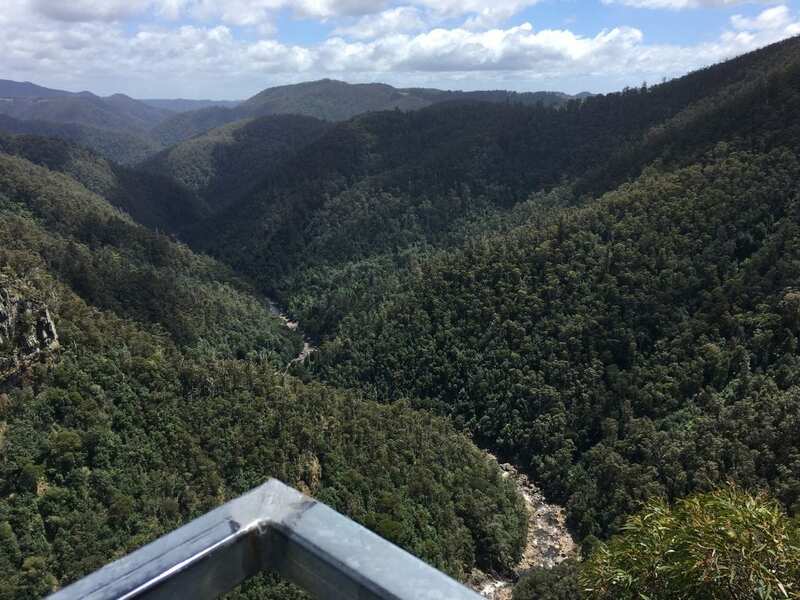 LEVEN CANYON is located around 50 minutes south of Devonport. 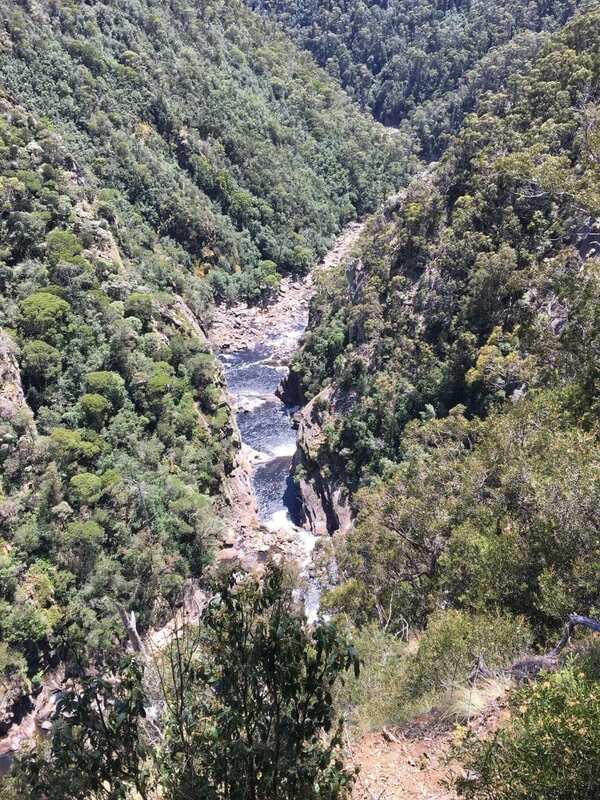 Leven Canyon is 275 metres above the Leven River and provides some breathtaking views. 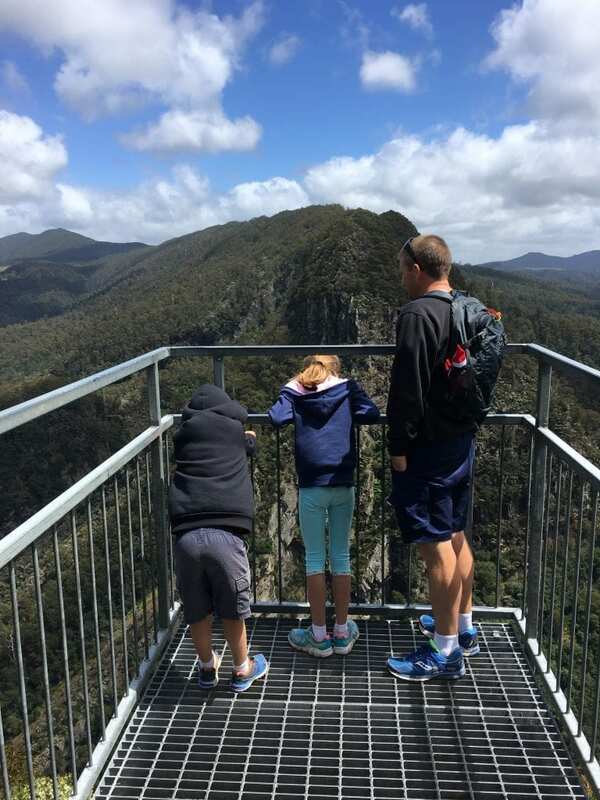 The 1.7km circuit takes you from the picnic area to the Edge Lookout, then up 697 forest stairs to Cruikshanks Lookout. (You can go either way, we choose to go up the stairs). 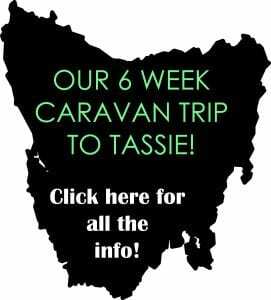 This is one of Tasmania’s 60 Great Short Walks and has spectacular views of the canyon and surrounding forest.